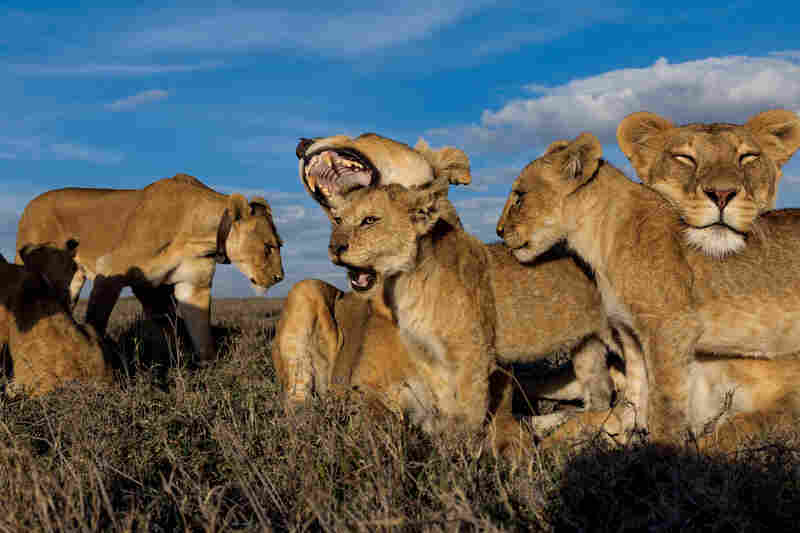 A Serengeti Safari From The Safety Of Your Desk : The Picture Show We don't often write about multimedia presentations — but if you haven't already seen it, you really should check out the latest from National Geographic. Cubs of the Simba East pride: too young to kill but old enough to crave meat. Adult females, and sometimes males, do the hunting. Zebras and wildebeests rank high as chosen prey in the rainy season. Older cubs like these Vumbi youngsters are raised together as a creche, or nursery group. Pride females, united in the cause of rearing a generation, nurse and groom their own and others' offspring. Hildur, C-Boy's partner, frequently makes a long run to visit the Simba East pride. A coalition that controls two prides must maintain vigilance over both. 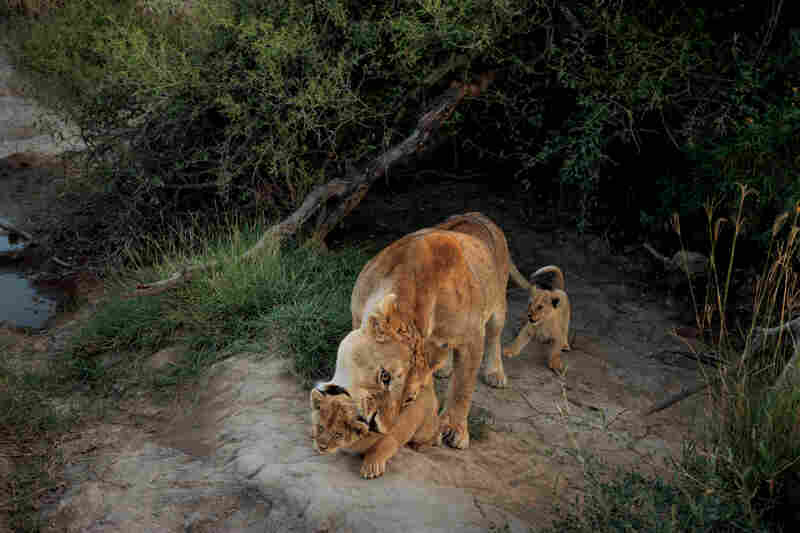 A female wrangles her infant cubs. 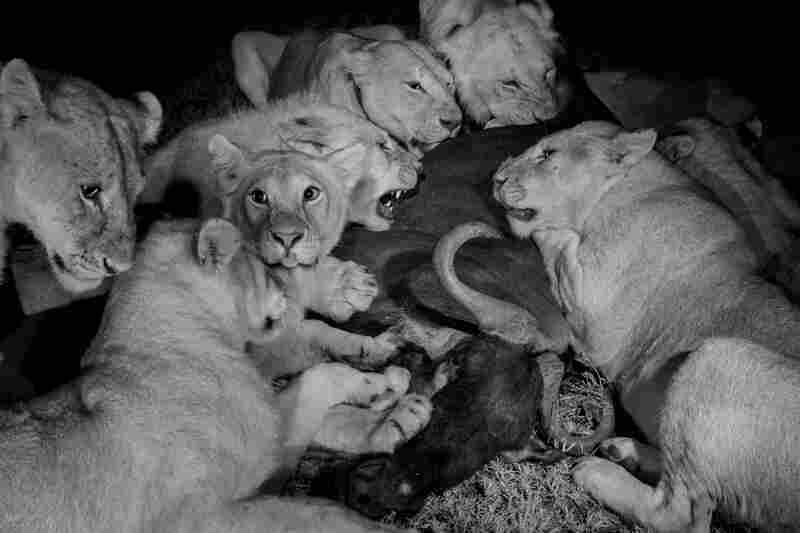 During the first few weeks, when they're too young for the competitive jumble among older cubs in the pride and so vulnerable to predators, she keeps them hidden away in a den. But these will soon join the group. Dusk is a busy time for the Vumbi pride. 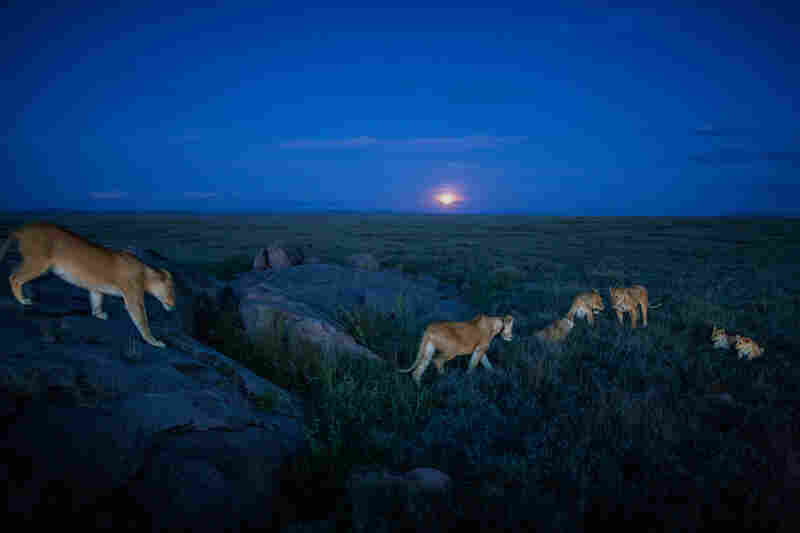 As the moon rises, the lionesses rouse themselves from their afternoon naps, tussle in the grass, and set out on the evening hunt. 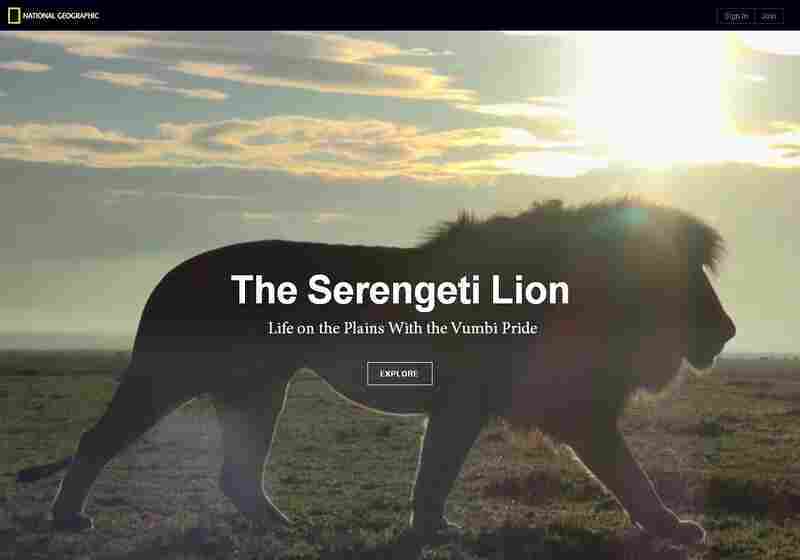 We don't often write about multimedia presentations — but if you haven't already seen it, you really should check out National Geographic's immersive project about the Serengeti lions. Photographer Michael "Nick" Nichols and videographer Nathan Williamson spent more than two years gathering footage of the Vumbi pride — resulting in more than 200 hours of video and 200,000 photos. And when handed that kind of material, Nat Geo's digital creative director, Jody Sugrue, wanted to try something new. "I kept referring to it as the 'Lion's Lava Lamp,' said Sugrue. "It's like the idea of a safari — like you are actually wandering through the Serengeti. We wanted to let the reader get lost in all the stunning moments." Meanwhile, I caught up with Nichols over email about his incredible two years in the field. The Picture Show: What did you learn about the lions that you didn't expect? Nichols: "I never thought I'd find so much family support among the lions. Lions are different from house cats, which can live individually. 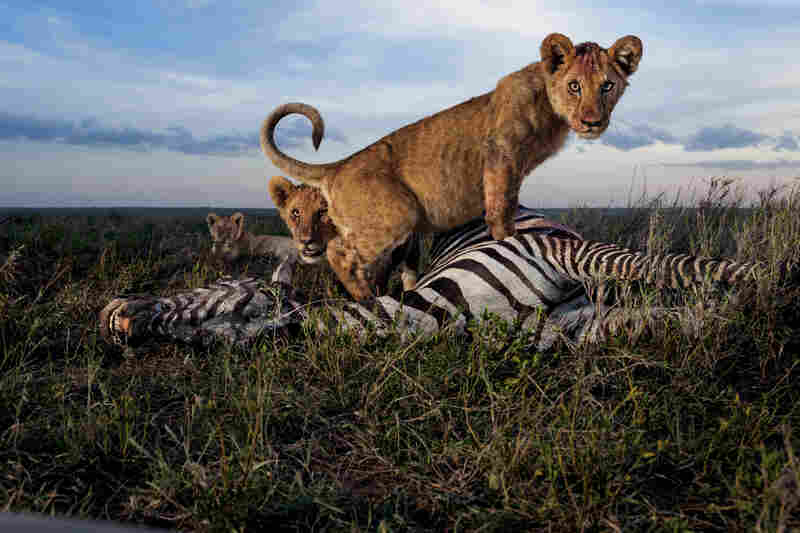 In the Serengeti, you really see how much they depend on each other to survive." What was the hardest part about using the robot? "On the first trip we used a remote control toy car as a test. We saw that the lions would tolerate it and they habituated to it very quickly. This is because they are so supremely confident and don't like to waste energy. "Then we hired a robotics company to make a more robust car, which we call a robot tank. We still had technical difficulties. Many times we would get the tank very close to the lions but then would lose communication with it. ... There were a lot of problems with the robot, it was never a smooth ride." 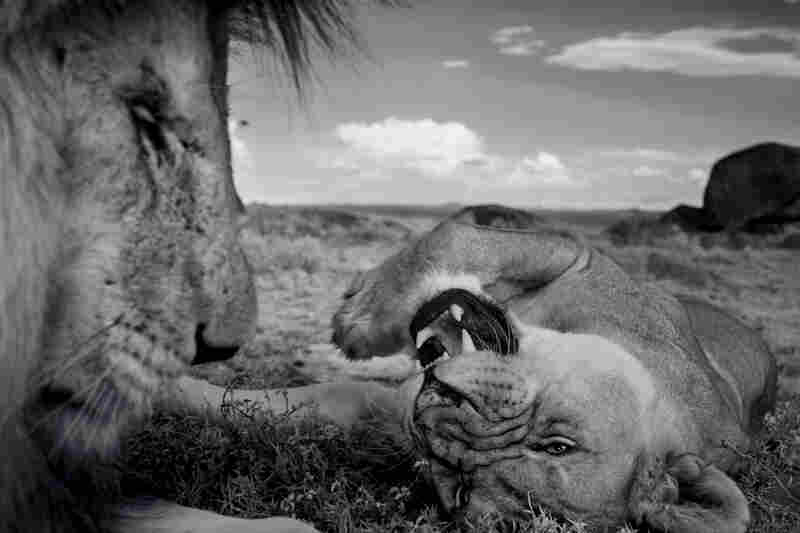 "Spending so much time with the lions in such intense focus. 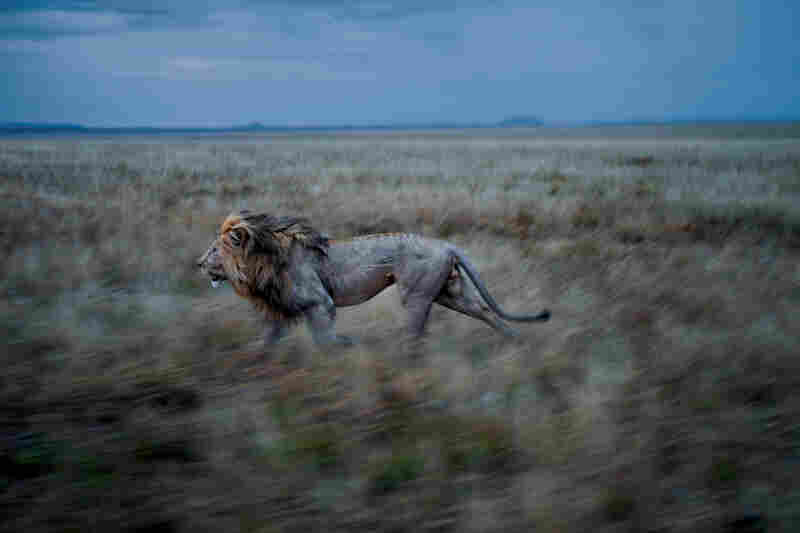 With a 35-year career in photography, I knew that I could take the technology of today ... and the data from scientific studies on lions, and apply all of that to this project. .... This was the right moment for this to be done." Did you get emotionally attached to the lions? "We did get emotionally attached, because we spent much of our time with one plains pride. Plains prides have feast and famine, so it's a real struggle. There were 5 related females struggling to raise 9 cubs. We had incredible intimacy with them. Our car was closer than close, just a few feet away." Did you experience any moments of pure joy during shooting and production? "Pure joy was the day we were finally able to fly the Mikrokopter. We had carried it around with us on top of the car so we could use it at any moment, and the moment had just never come. And then one day the whole pride was sitting on a beautiful kopje (a rocky outcropping) in sunset light. Nathan [Williamson] said that the wind was just too strong. We tried it anyway. It was a real struggle for Nathan to fly in the strong winds, but the lions were perfectly calm, and the kopter flew fine, and it was a fabulous moment." Any moment of pure fear? 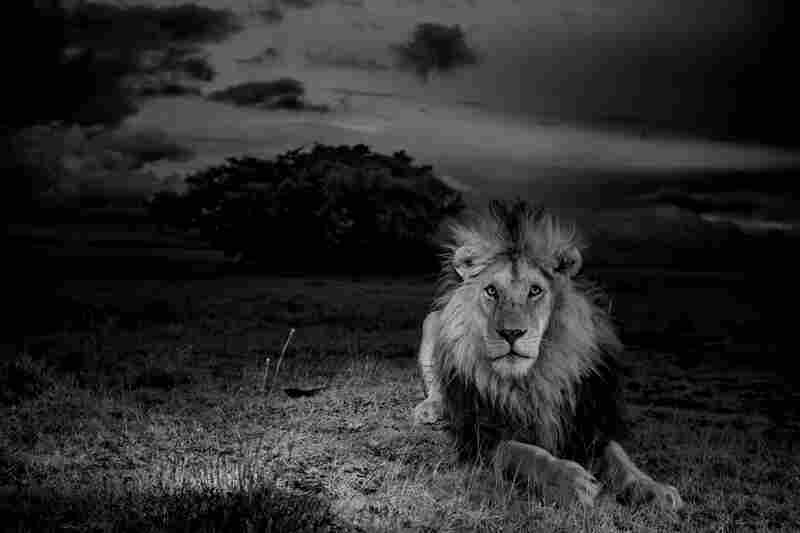 "One night we were preparing the car to photograph the lions using infrared light. ... Without warning, we hear the sound of something running toward us, like stampeding animals. Suddenly a wildebeest ran by and almost hit Nathan, and running behind it was a large male lion. "Nathan was extremely upset because he has a young baby. Lots of discussion and yelling about responsibilities — but the bottom line was that we realized that if we made an error of judgement like this again, someone could be killed. And if a lion kills a human, it will immediately be killed by the park. It was intense fear for a moment, which made us realize that you're not allowed mistakes — the cost is too high." View the full online experience and see the photos and video by Nichols and Williamson on the National Geographic site here.